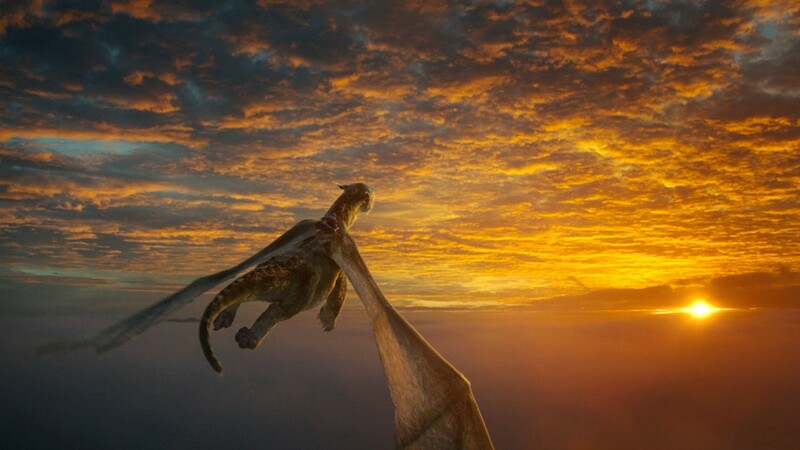 A high-flying scene from "Pete's Dragon." At a time when movie theaters are perpetually overloaded with mega-budget reboots and sequels, it probably seems odd to hold up one of their kind -- a mega-budget Disney remake, no less -- as something to be celebrated. But when indie director David Lowery ("Ain't Them Bodies Saints") succeeds in turning secondhand elements into something as soulful, heartfelt, and all-around wonderful as "Pete's Dragon," it feels like a triumph that deserves praise. A loose remake of the 1977 Disney musical of the same name (a film I remember loving as a kid, but now have little memory of outside of the dragon himself and the vague melody of "Candle on the Water"), Lowery and co-writer Toby Halbrooks have streamlined the story, taking only the bare elements of the original's plot and reinterpreting it as a simple "boy and his dragon" story. A prologue opens the film in the backseat of a car, where young Pete (played by Levi Alexander in this opening, then by Oakes Fegley for the film's remainder) sits reading. From the passenger seat, his mother promises him an adventure. This serene scene is interrupted when a deer darts out from the trees, causing a car accident that claims Pete's parents and leaves him alone in the forests of the Pacific Northwest (this sequence is undeniably tragic, though its actual presentation is sensitively handled). But Pete isn't alone for long, and he immediately falls under the protection of a big, gentle dragon named Elliot. The story jumps ahead six years, as a kindly park ranger named Grace (Bryce Dallas Howard) finds Pete out in the wilderness and brings him back to civilization. After a brief hospital stay, Grace winds up taking Pete back home with her fiancé, Jack (Wes Bentley), and his daughter, Natalie (the immensely likable Oona Laurence, "Southpaw"). Though mystified as to how a child could have survived alone in the woods for as long as Pete did, the boy's mentions of his friend Elliot remind Grace of the stories her father (Robert Redford) is still fond of regaling the town's children with -- stories that revolve around the local legend of a dragon that lives out in the forest. Although it has its fans, the original "Pete's Dragon" is hardly among Disney's most beloved properties. By creating a new story and chasing a different mood, Lowery has created a tale that feels entirely separate (one wonders why Disney didn't choose to call the new film something else entirely, although the simple answer is likely sheer brand recognition). With modest ambitions, "Pete's Dragon" is a blockbuster that doesn't feel like one; bucking more commercial formulas, there's a distinct air of melancholy to it. The film feels Spielbergian -- a word that tends to get thrown around quite a bit, but here it is truly earned. It owes a lot to "E.T.," with a sprinkling of Disney's live-action "The Jungle Book" from earlier this year tossed in. Lowery forgoes the snark and self-referentiality of so many modern movies aimed at kids, opting for an appealingly earnest tone. Children's entertainment has grown so afraid that kids will lose interest, they refuse to have a single down moment. So when a kid's movie is willing to have some honest-to-God quiet in it, taking even a moment for things like listening to wind rustling through the trees, it's enough to give you chills. The forest is captured in all its misty, majestic glory by cinematographer Bojan Bazelli, and I can easily imagine the film inspiring a generation of kids to go outside and explore. This genial spirit extends to the film's relative disinterest in presenting an actual conflict, though the film does eventually concede this point as it tosses in a plot about Jack's brother, Gavin (Karl Urban), sensing an opportunity in capturing the dragon (even if he hasn't entirely figured out what that opportunity is). As a character, Gavin comes across as more misguided that outright villainous, and it's in keeping with the film's gentle temperament that there are no true bad guys. 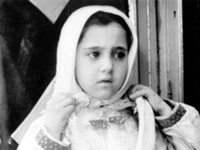 The film's many computer effects never clash with the rest of the film's folksy aesthetic (and seeing the film in 3D didn't appear to add much). Elliot himself is an impressive creation, with thick, green fur that you can't help wanting to reach out and touch, big, expressive brown eyes, and an underbite with one broken tooth. He's the most huggable dragon you've ever laid eyes on. The animators invest him with an impressive amount of personality; a scene in which Elliot peers in on Pete as he bonds with his temporary family sees the dragon demonstrating a depth of emotion that's remarkable to see. With its gentle tone, "Pete's Dragon" would make a pretty spectacular first movie-going experience for any young child (though adults will get plenty out of it as well -- it's probably a good idea to bring tissues). Presenting a story rendered with a sincerity and artistry that distinguishes it from so many soulless summer blockbusters, it provides a heartening reminder that "remake" doesn't always have to be a dirty word.